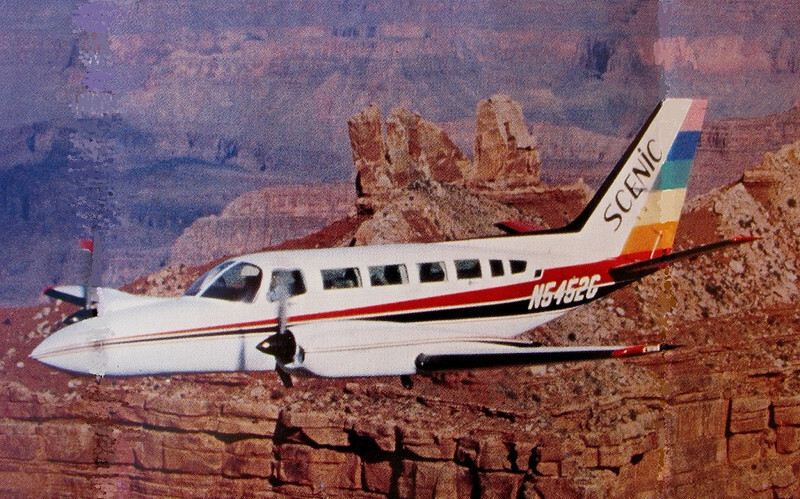 On July 21, 1980, Scenic Airlines Flight 306, a Cessna 404 Titan Ambassador (N2683S), commuter flight to Phoenix, Arizona was scheduled to depart the Grand Canyon National Park Airport at 4:45 PM. On board were seven passengers, one of which was Charles Calhoun, a commuting helicopter mechanic hopping a ride back home. The pilot was Captain Richard T. Mirehouse, age 33. While in the United States Air Force, Mirehouse flew a variety of aircraft such as the Northrop T-38 and the General Dynamics F-111A. After being released from active duty in 1979, he was employed as a Boeing 707 Flight Engineer for Trans World Airlines, but was released from TWA five months later due to a pilot reduction furlough. It wasn't long before Mirehouse found employment with Scenic Airlines in April 1980 and was soon checked out in both the Cessna 402 and 404 aircraft. At the time of the accident, Captain Mirehouse had a total flight time of 2,474 hours, but only 50 hours of that experience was in the Cessna 404. After a passenger delay, Scenic Airlines Flight 306 taxied from the ramp at 4:58 PM and was cleared for takeoff at 4:59 PM. Already running late and not wasting time, Captain Mirehouse pushed up both throttles and the turbo-charged engines roared to life as Flight 306 accelerated down Runway 21. With the landing gear and flaps up, Mirehouse made a slight left turn for Phoenix, but all was not well. Unknown to Mirehouse, his aircraft was trailing dark black smoke. Suddenly the left engine began losing power and the aircraft began losing altitude. The tower controller notified Mirehouse of the smoke and could see the plane descending in a nose high attitude just above the treeline. With the nose of his aircraft blocking the view of the fast approaching forest, Mirehouse knew he was seconds from a crash. He made a final radio call to the tower; "It looks like I'm gonna go down." At 5:02 PM, Flight 306 began ripping through the treeline in a mixture of shattered metal and splintered branches. In seconds, a fireball rose from the forest consuming the aircraft and it's injured occupants. 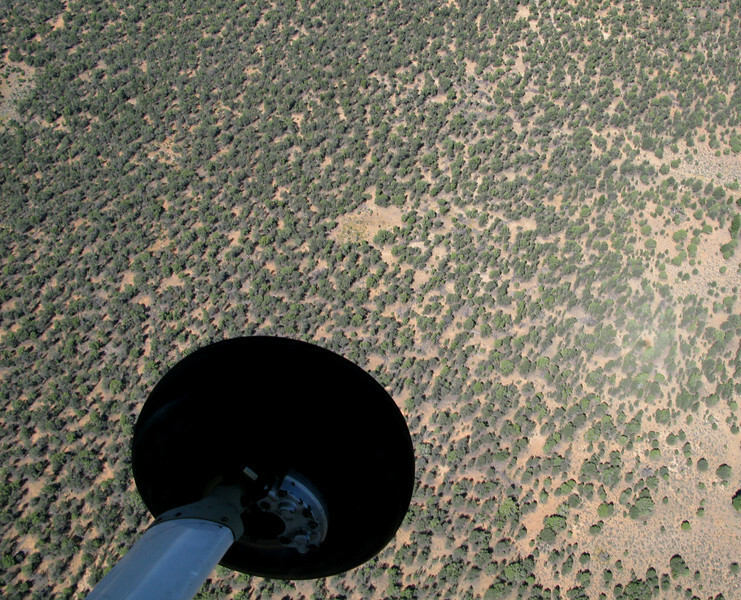 Help was quick to arrive in the form of a U.S. Forest Service firefighting aircraft. The Fairchild C-119, call sign T-36 was responding to a forest fire near Prescott and was the third aircraft to depart after Flight 306. The pilot asked for and received permission to drop two 1,000 pound loads of slurry onto the burning plane. The effort helped, but the fuel re-ignited and the plane continued to burn. Ground responders began to arrive after driving nearly half a mile through the dense forest. When they arrived, the scene was utter devastation. The aircraft and surrounding forest was consumed in flame and yet through the chaos of it all, a voice was heard crying for help. It was Charles Calhoun, the commuting helicopter mechanic. Calhoun managed to open the cabin door and crawl his way through the searing flames. The victim was conscious and complained of very little pain, but with third degree burns covering over 98 percent of his body, Calhoun was in very critical condition. Just five days after the accident, Mr. Calhoun would succumb to his injuries in a Phoenix hospital. The only survivor of Scenic Airlines Flight 306 had died. 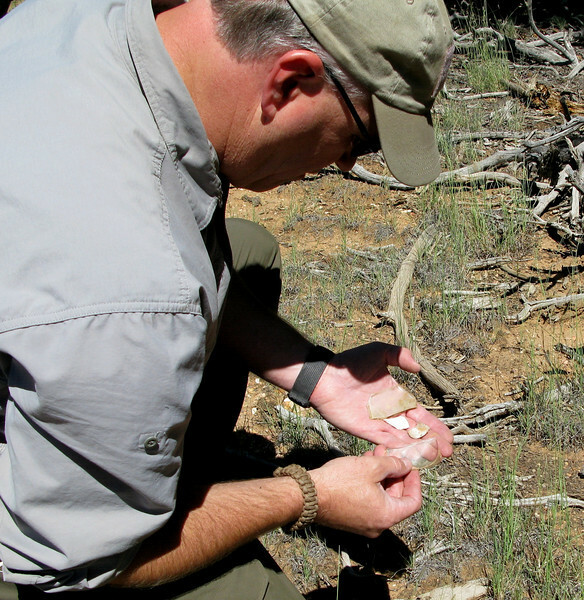 The crash site of Flight 306 was difficult to locate for a couple of reasons. 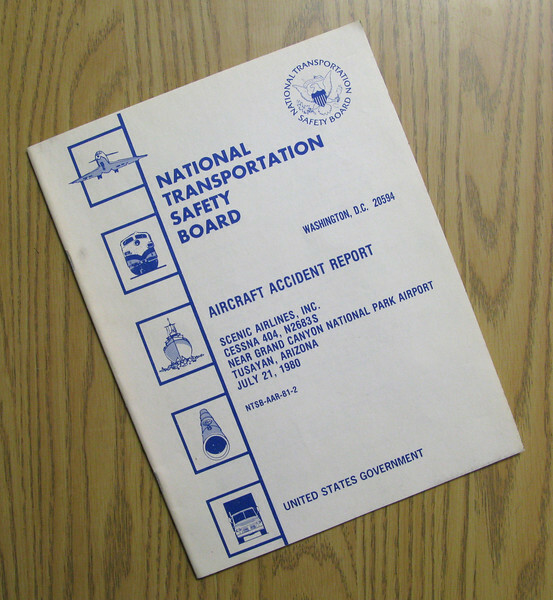 The NTSB accident report gives several different locations for the accident site. 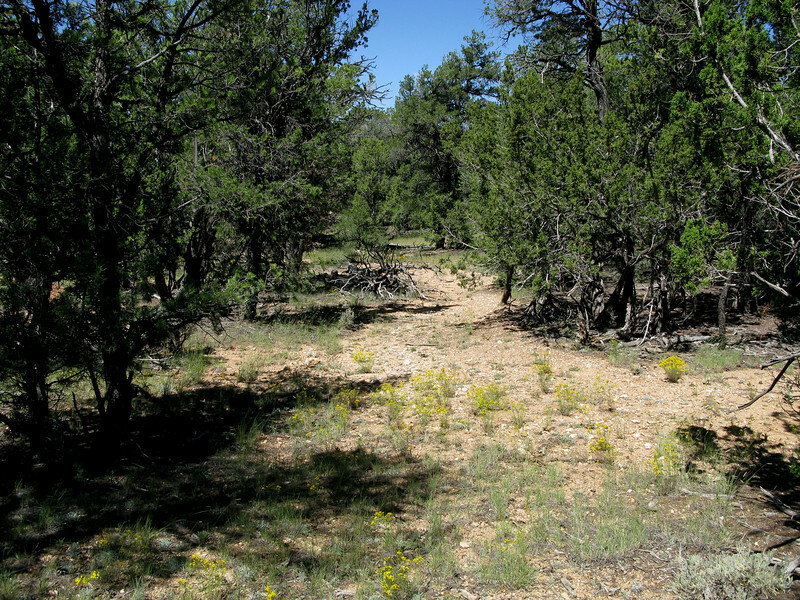 One of which was nearly 10 miles from the actual site. The other factor that made the site difficult to locate was the fact that the flight crashed in densely forested terrain that has very few geographic landmarks. No aerial photographs were available and the few surface photos I found were useless in locating the site. Few people in the area remember the accident and those that I spoke with only remember it being somewhere in the forest and about three miles south of the airport. It became apparent that this search would not be a solo effort and I incorporated a group of friends to help look for the crash site with me. 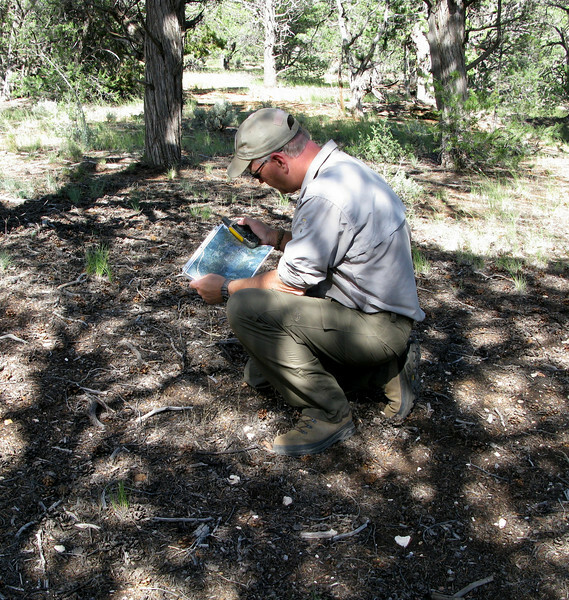 We ended up using the grid method to locate the site based on the first responders witness statements. 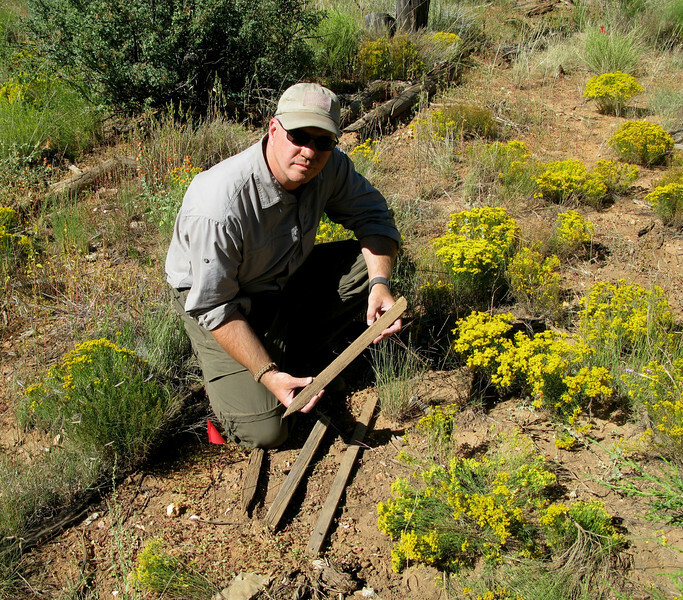 The method worked and after a few days of hiking the search grid, we found the crash site of Flight 306. The beginning of the 1980's was the pinnacle of Scenic Airline's growth and history. The successful tour company was further expanding into the commuter airline market by offering scheduled flights to and from the Grand Canyon from Phoenix. With rapid expansion and growth in the air tour industry, Scenic Airlines needed more room and a more central location in Las Vegas. 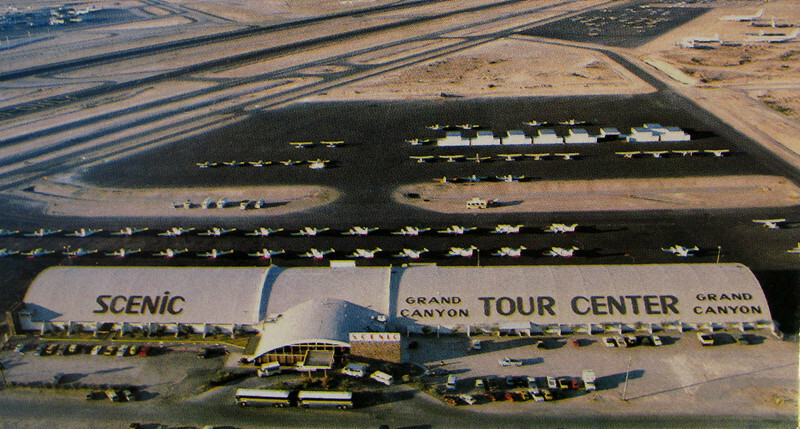 In 1973, Scenic Airlines moved it's operation from North Las Vegas Airport to a new facility at the much larger McCarran International Airport. A Scenic Airlines flight tour/schedule brochure from the summer of 1980 promoting it's scheduled service from Phoenix to Grand Canyon. 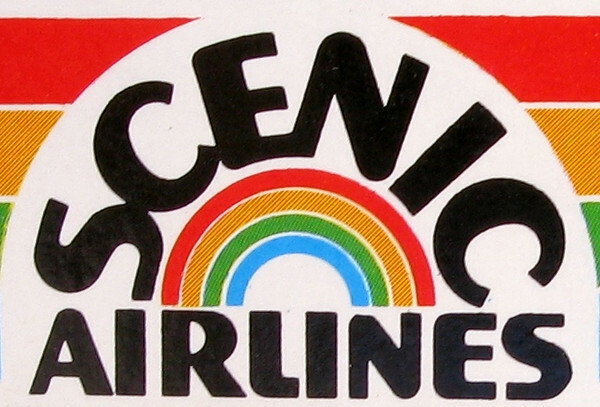 Scenic Airlines incorporated "The Rainbow Route" name from Scenic Airways which was the first company to pioneer air tours over Grand Canyon. The Cessna 404 Titan Ambassador was a development of the Cessna 402 with an enlarged vertical tail and other changes. The prototype first flew on February 26, 1975. It was powered by two 375 hp turbocharged GTSIO-520 engines manufactured by Continental Motors. It was Cessna's largest twin piston-engined aircraft. In production between 1976 and 1982, a total of 378 Titans were built. Along with it's fleet of Cessna 402's, Scenic Airlines operated 10 Cessna 404 Titan's. The accident aircraft, registration number N2683S (s/n: 404-0606), was manufactured in 1979 and was delivered to Scenic Airlines on January 28, 1980. The aircraft had accumulated only 718 hours since manufacture. 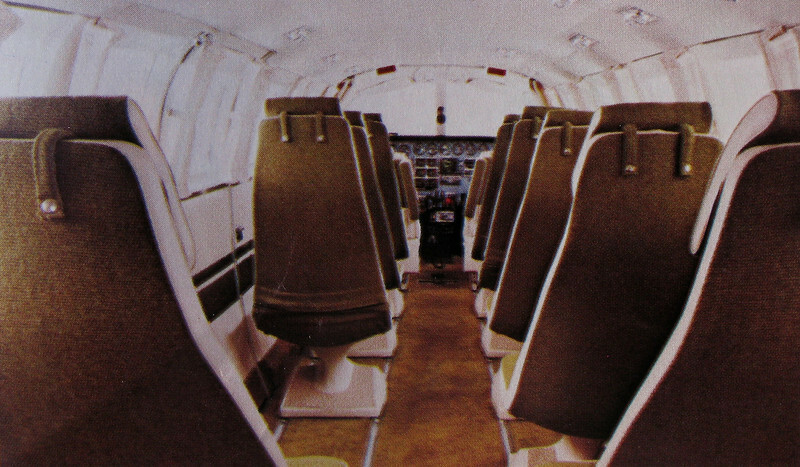 The Scenic Airlines Cessna 404 Titans provided nine passenger seats. The large cabin and single seating of the aircraft allowed each passenger to have a window seat. Scenic Airlines Flight 306 to Phoenix was running about 15 minutes late when it departed Grand Canyon National Park Airport. Less than 2 minutes later it was burning in a forested area nearly three miles from the departure airport. 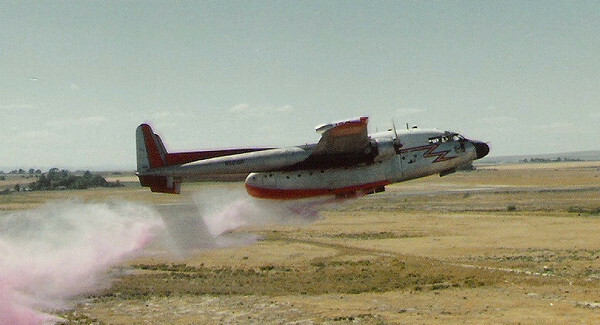 Just minutes after the accident, a contracted U.S. Forest Service Fairchild C-119 firefighting tanker aircraft (T-36) dropped 2,000 pounds of fire retardant slurry on Flight 306 in a desperate attempt to extinguish the fire. 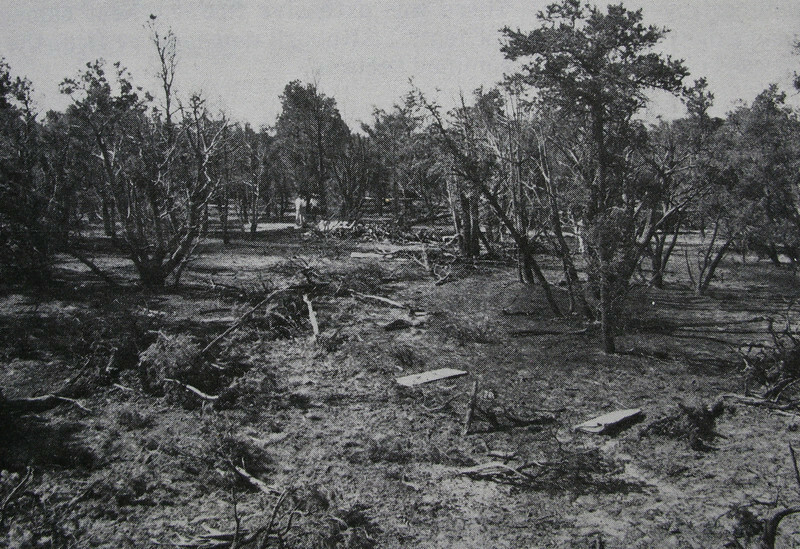 The wreckage crash path on magnetic heading of 165 degrees as viewed from major tree impact damage. 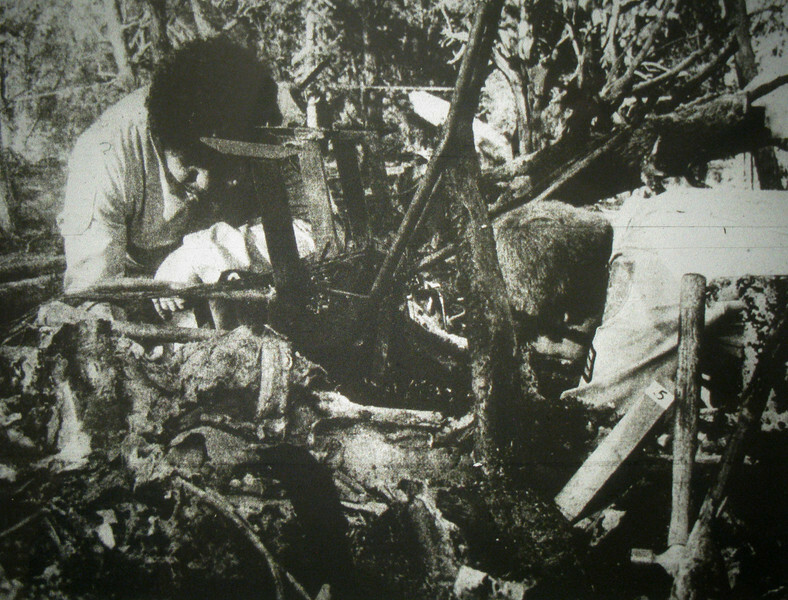 This photo of the main wreckage illustrates the severe fire damage inflicted on the aircraft. 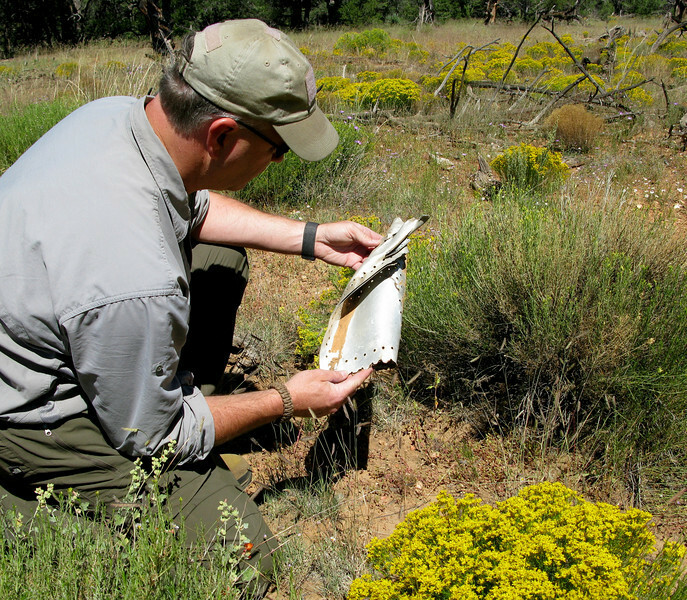 Two sheriff deputy's from Coconino County sift through the wreckage of Flight 306. During the accident investigation, the NTSB focused on the left engine that was trailing smoke. 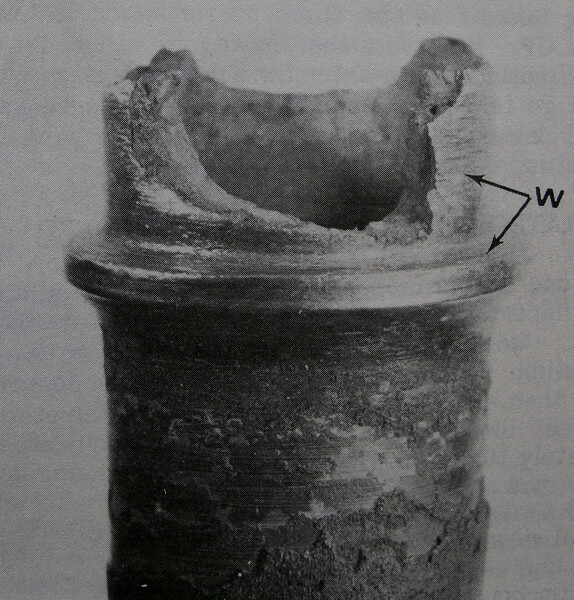 This fractured exhaust valve guide from the number 5 cylinder exhibited progressive cracking before it failed. 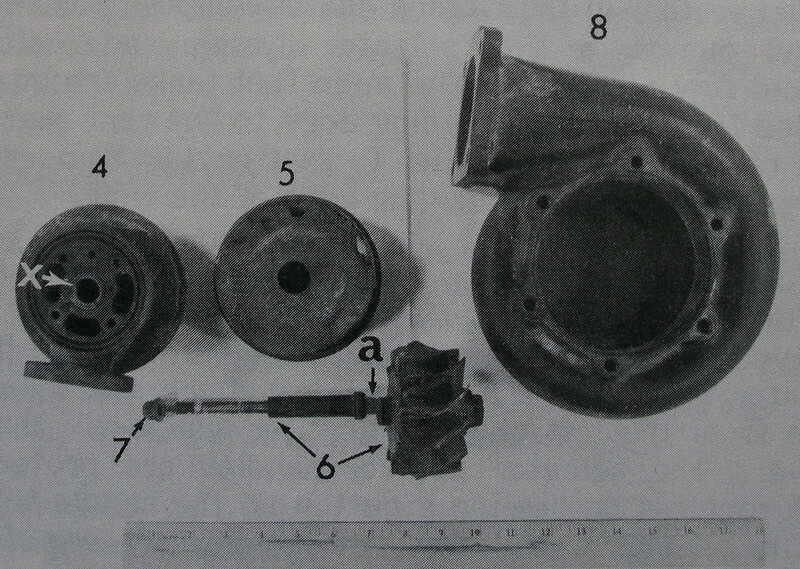 The NTSB suspected that the fractured valve guide probably damaged turbocharger's turbine wheel blades before the cylinder was replaced four days before the accident. On July 18, 1980, 3 days before the accident the airport manager for the Grand Canyon National Park Airport noticed N2683S emit large amounts of gray smoke from the left engine during ground operations. He reported the problem to Scenic's company station manager at Grand Canyon who reported the issue to company headquarters in Las Vegas. Further investigation revealed that the failing turbocharger was literally tearing itself apart internally and externally and eventually failed due to rotational imbalance. The NTSB determines that the probable cause of the accident was a substantial loss of power from the left engine at a critical point in the takeoff and the failure of the pilot to establish a minimum drag configuration which degraded the marginal single-engine climb performance of the aircraft. 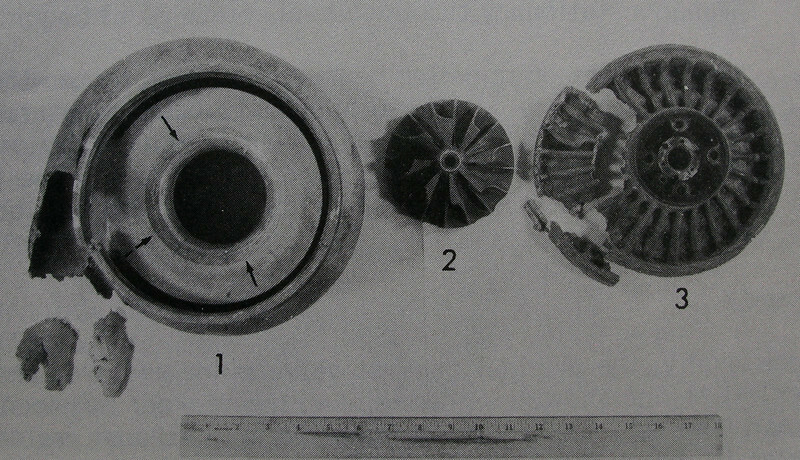 The loss of power resulted from the seizure of the turbocharger following the progressive failure of the turbine wheel blades initiated by foreign object ingestion which had occurred previous to the accident flight and was not detected during maintenance on the engine four days before the accident. Due to the large area of forest to search, I used depicted grid maps that I created using my computer. This allowed me to search a selected area without aimlessly wandering through the forest. 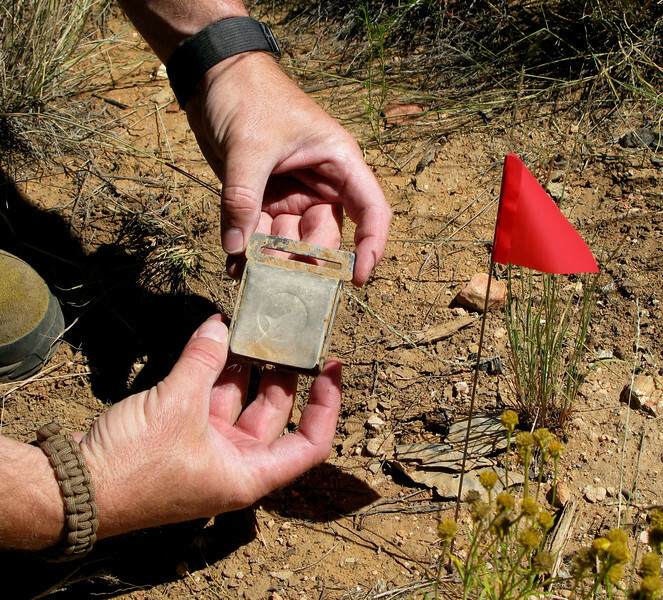 Sometimes the dangers while looking for crash sites are poisonous snakes. 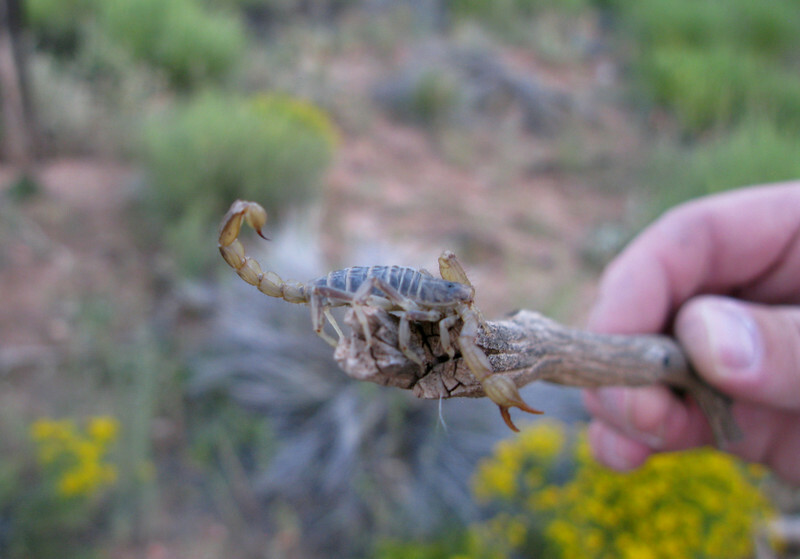 During the search for Flight 306 it was scorpions. This angry little guy was ready to put the sting on the first hand that got near him. I used florescent orange marking tape to identify the datums on my grid map. It's a long process, but it's the best way to orient yourself in an area with few geographic landmarks. Walking along my second search grid and finding nothing but old beer cans was becoming discouraging. 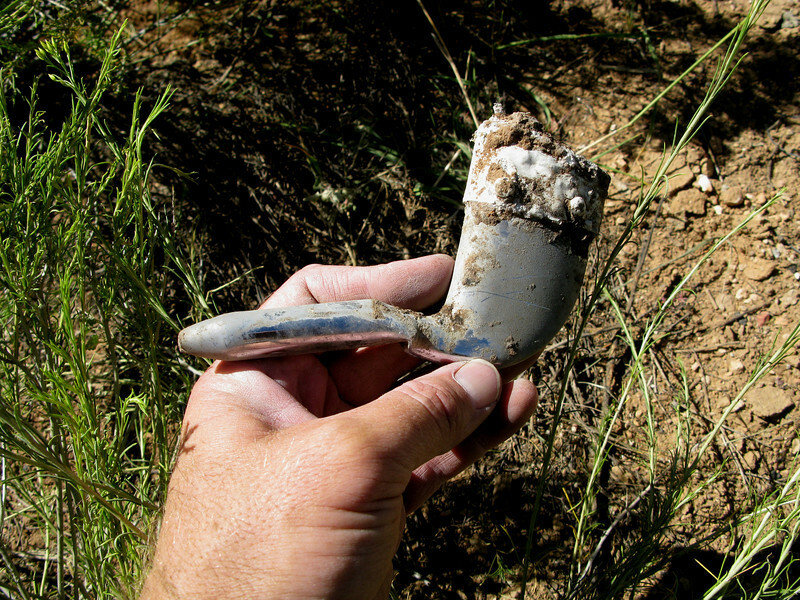 After a couple of hours, I was about to call off the search for the day when we walked into a clearing and I looked down to find this fragment. Additional wreckage and the burned trees nearby confirmed that we had found the crash site. 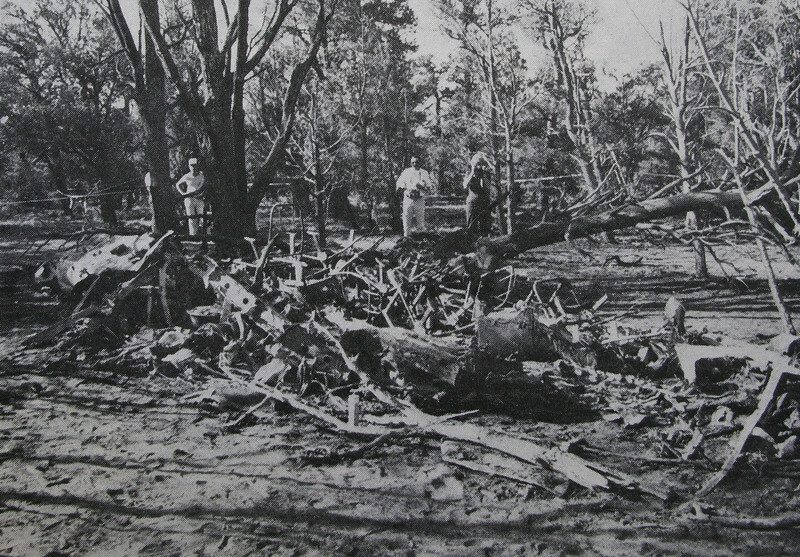 The fire from the burning plane created a clearing which contained the accident site. The clearing was further expanded by rescue and wreckage recovery crews as they cut down much of the timber to give better vehicle access. This aerial view of the accident site shows how the site's location was concealed by the surrounding forest. 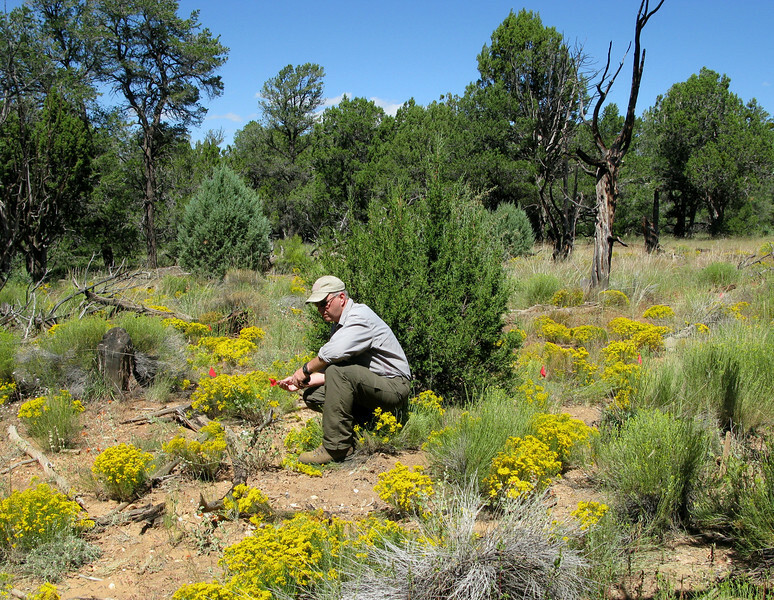 This firebreak located near the first tree impact was cut by forest service crews at the time of the accident to keep the fire from spreading. 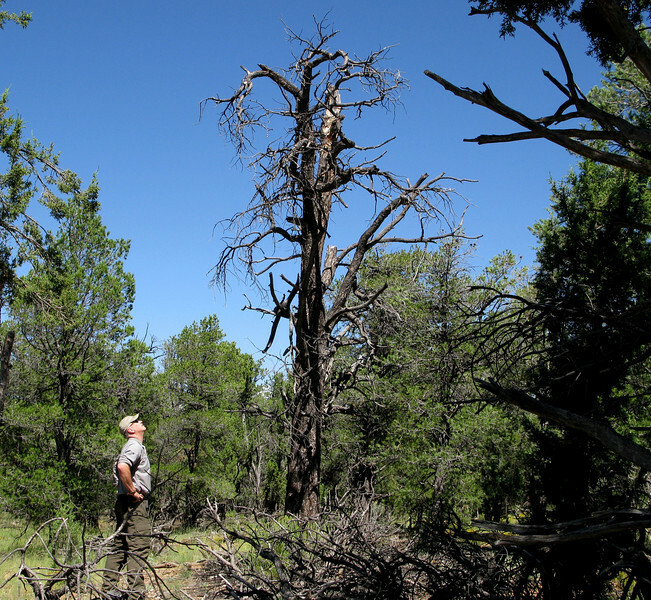 This tree was topped at the 20 foot level by the aircraft as it descended into the forest. The tree was the first of many the aircraft struck. The path made by the crashing aircraft was still visible. 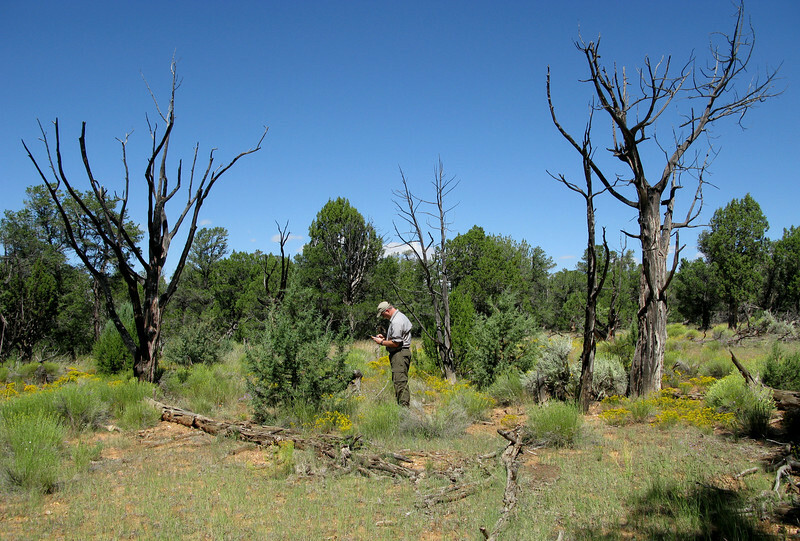 The swath of broken and burned trees is oriented on a magnetic heading of 165 degrees and is about 230 feet in length. 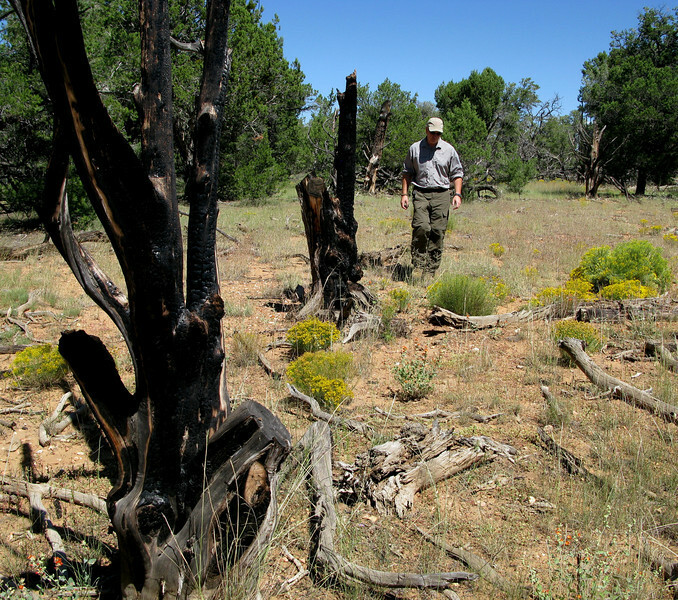 From the initial tree impact I began to walk past the charred trees along the path the aircraft made through the forest looking for fragments of aircraft. 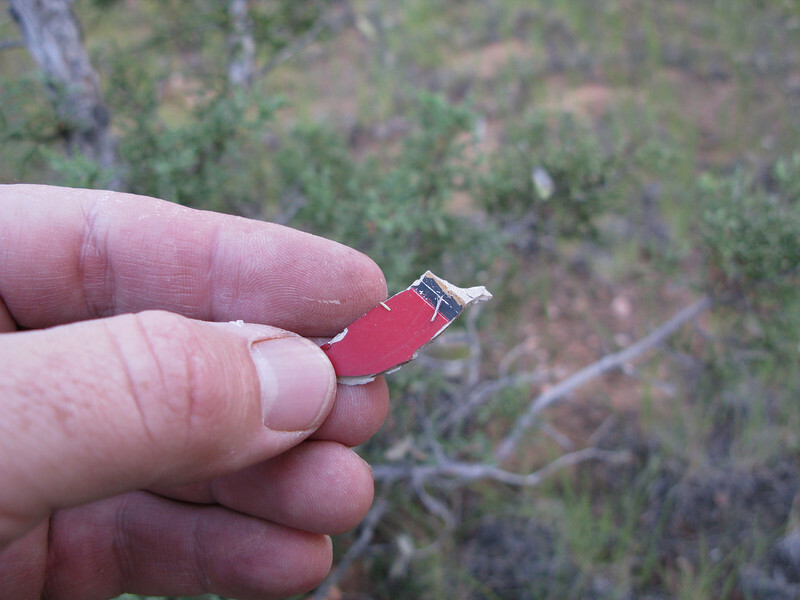 This small piece of plastic painted red/black probably came from one of the aircraft's wingtips as it tore through the trees. 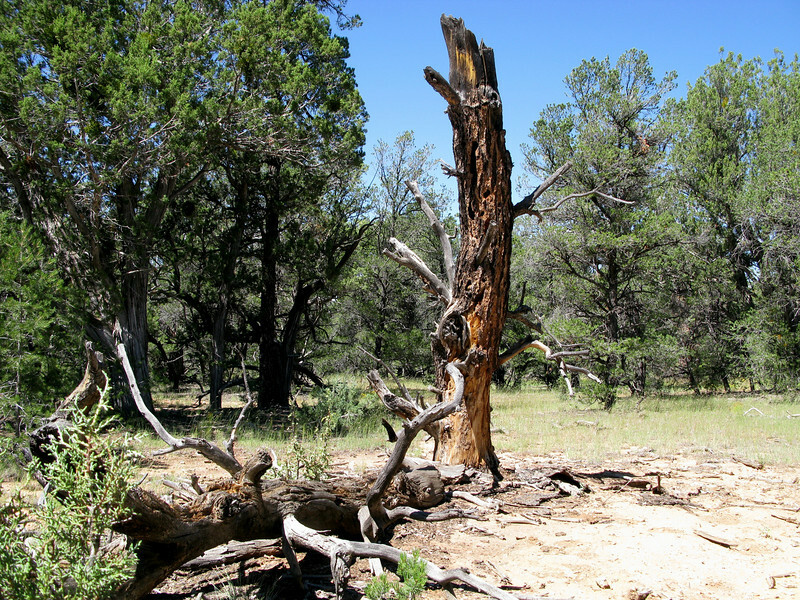 This broken tree may have been the first of many that ruptured the fuel tanks in the wings of Flight 306. Broken landing-light glass, bits of metal, and plastic wingtip fragments at the base of the tree provide evidence that the aircraft's wings were beginning to break apart. The Cessna 404 Titans were manufactured with a bonded wet-wing which contained high octane fuel. 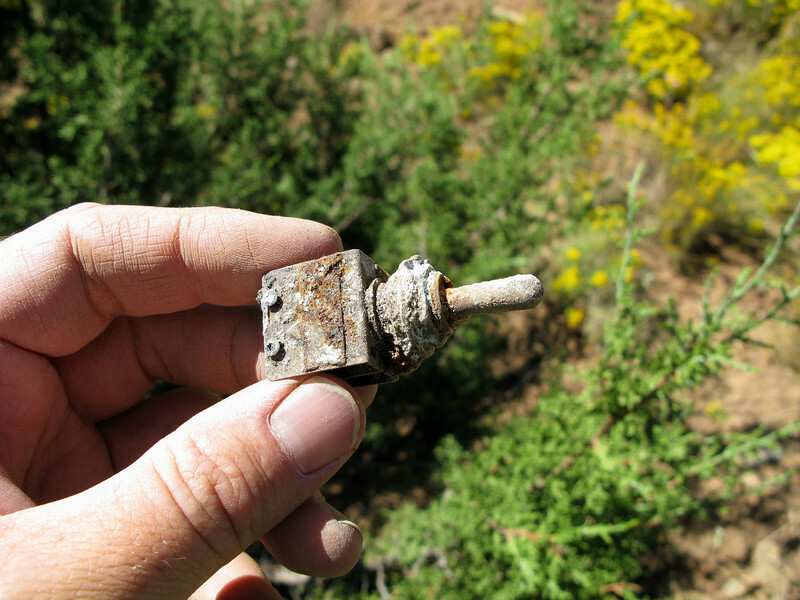 This ATC Transponder/DME antenna was originally attached to the bottom of the aircraft. 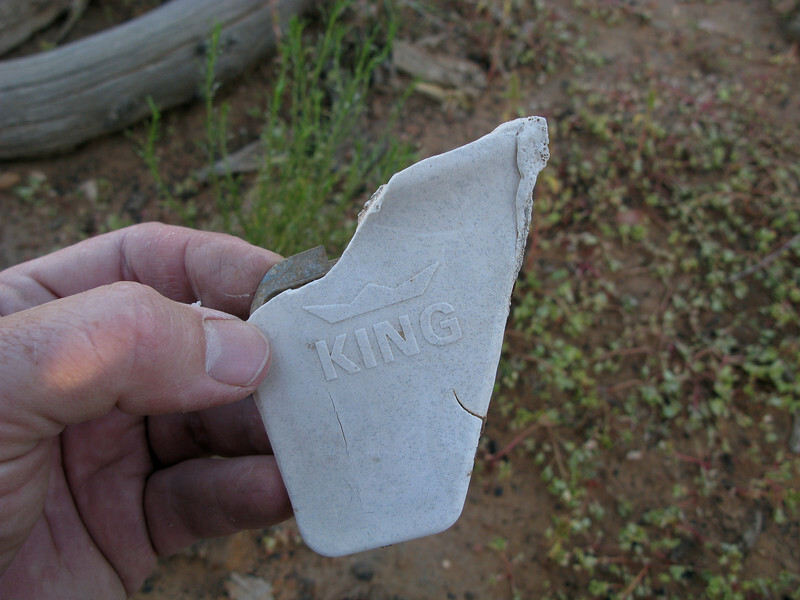 Manufactured by King Radio, it was located with other small fragments along the debris path. 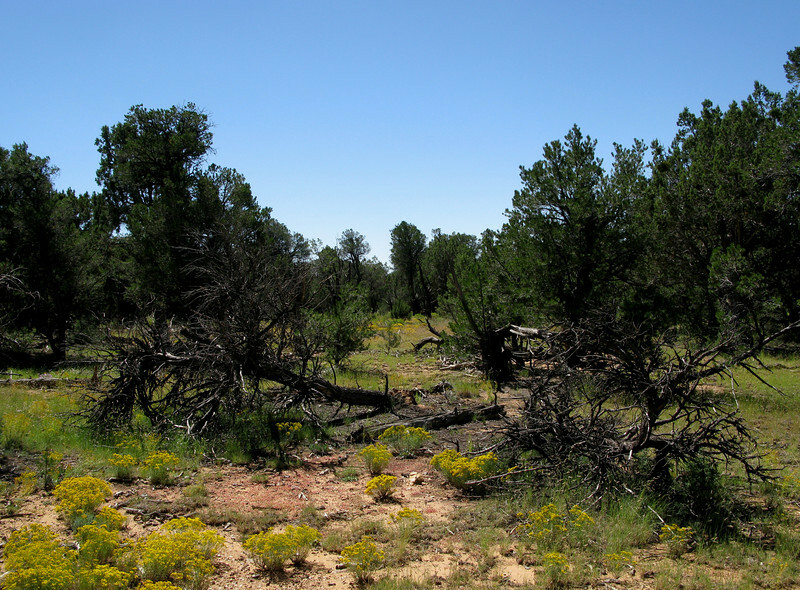 The damaged trees were left in place during the NTSB accident investigation, but were later cut down by salvage crews to retrieve the aircraft wreckage. 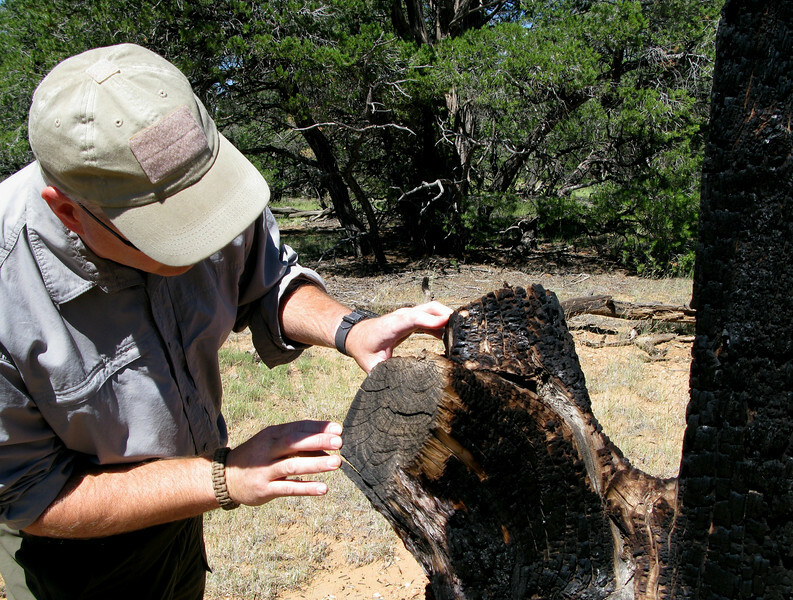 In some cases, only the branches were cut from the charred trees. As I walked closer to where the aircraft came to rest, the wreckage became more pronounced in both size and quantity. 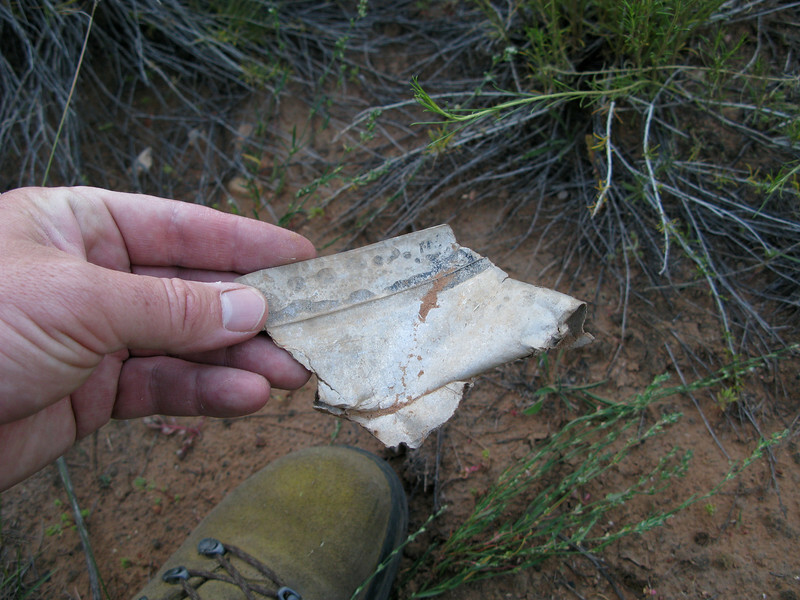 This however was the largest fragment located at the crash site during the survey. 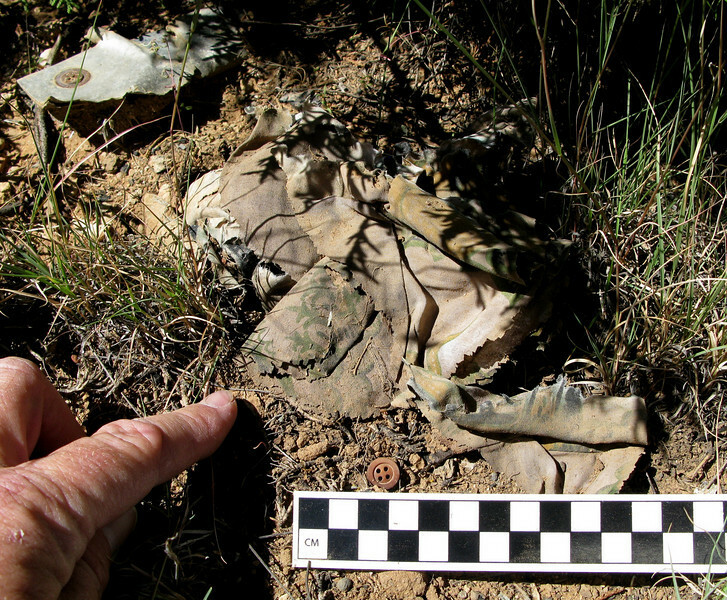 Some of the fragments located in the aircraft cabin burn area displayed evidence of severe heat damage such as this partially melted aircraft structure. 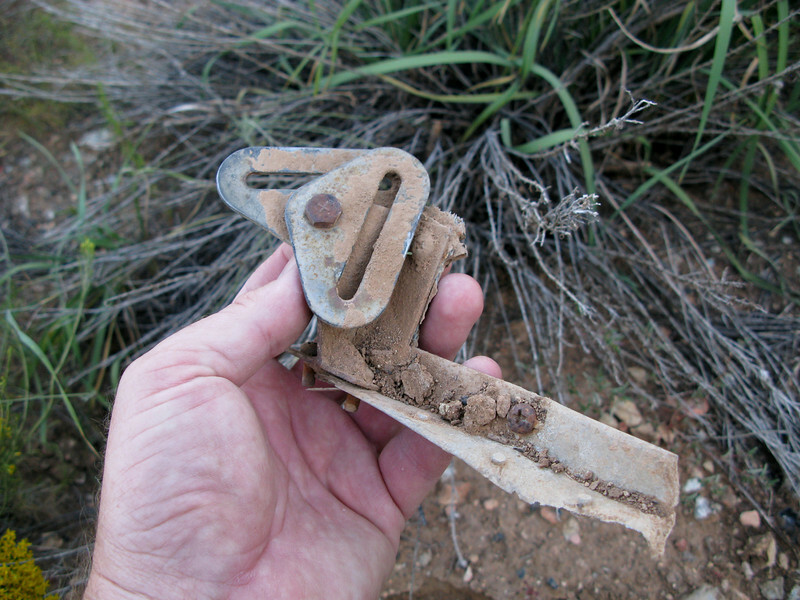 A separated wing flap track. 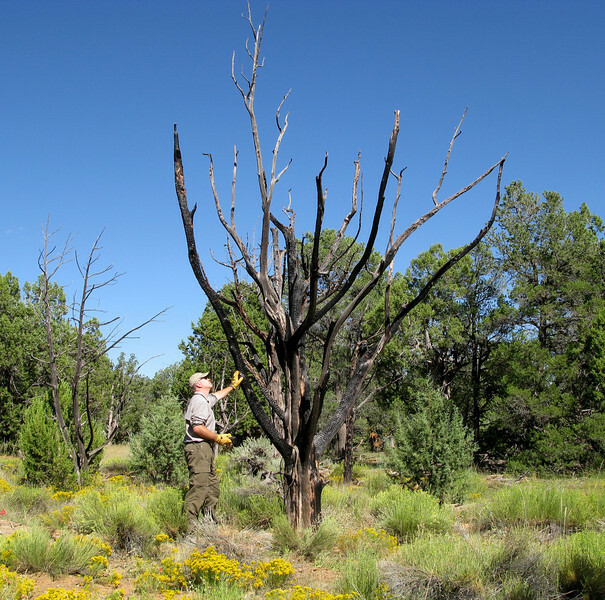 This charred tree is located at the main cabin burn area. Floor anchor attach points for a passenger's seat belt restraint. 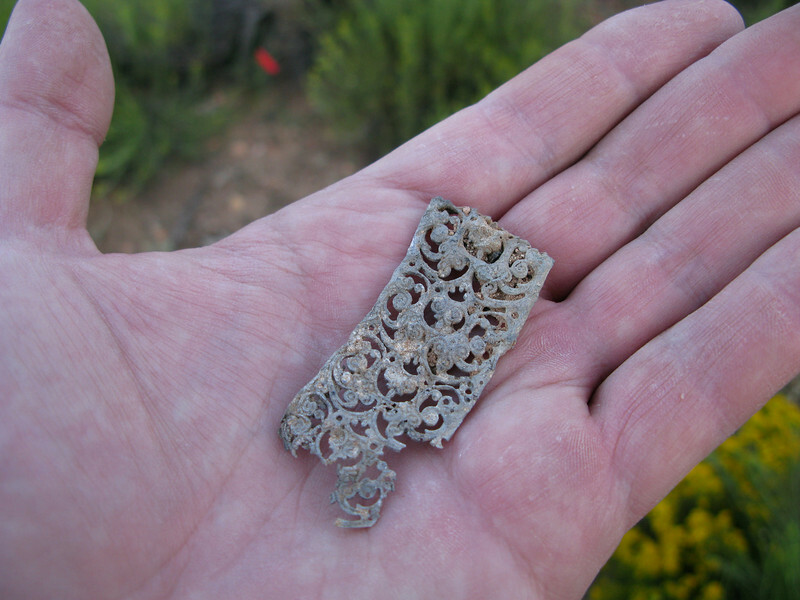 This decorative personal effect fragment shows signs of fire damage. 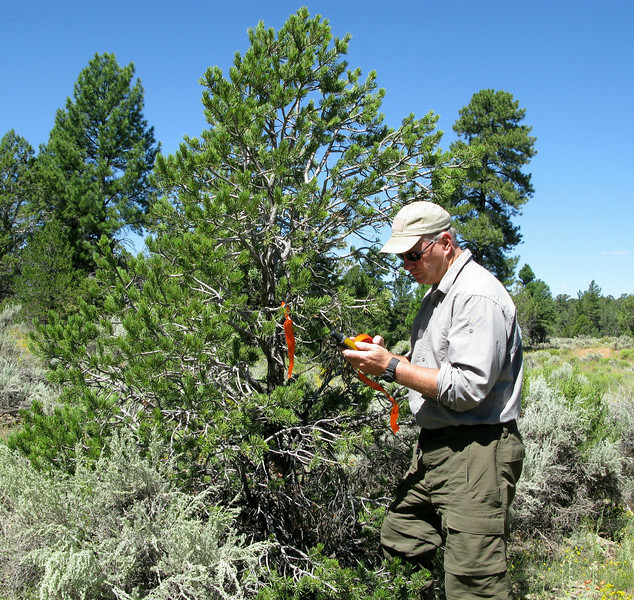 Once I was able to determine where the aircraft fuselage and cabin had came to rest, I began marking the area with survey flags. One of two electrically heated pitot tubes from the aircraft. The pitot tubes draw in ram air during flight for the pilot's airspeed indicators. They are heated by the aircraft's electrical system to prevent possible ice blockage in-flight. Cockpit electrical toggle switch used for aircraft lighting and other electrical systems. This closed and latched seat belt buckle illustrates how swiftly the fire overcame the injured and trapped occupants of Flight 306. 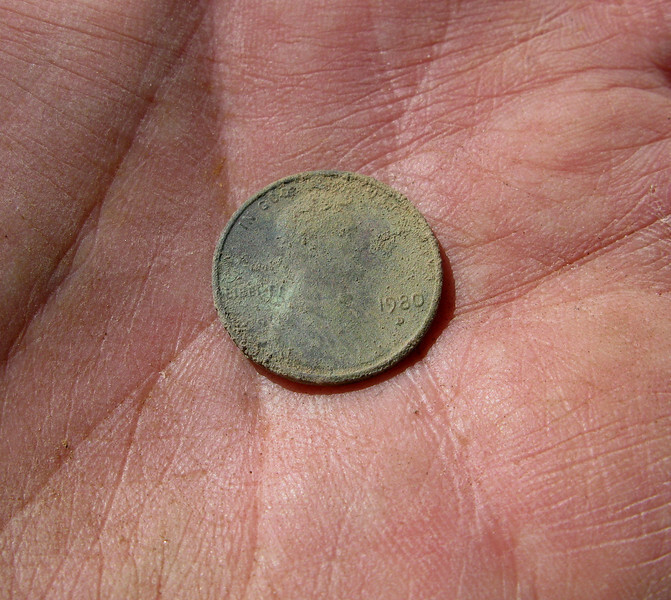 This U.S. one cent coin issued in 1980 was relatively new and lightly circulated at the time of the accident. Despite over three decades of direct weather exposure, this tattered passenger's tropical style shirt was still recognizable. 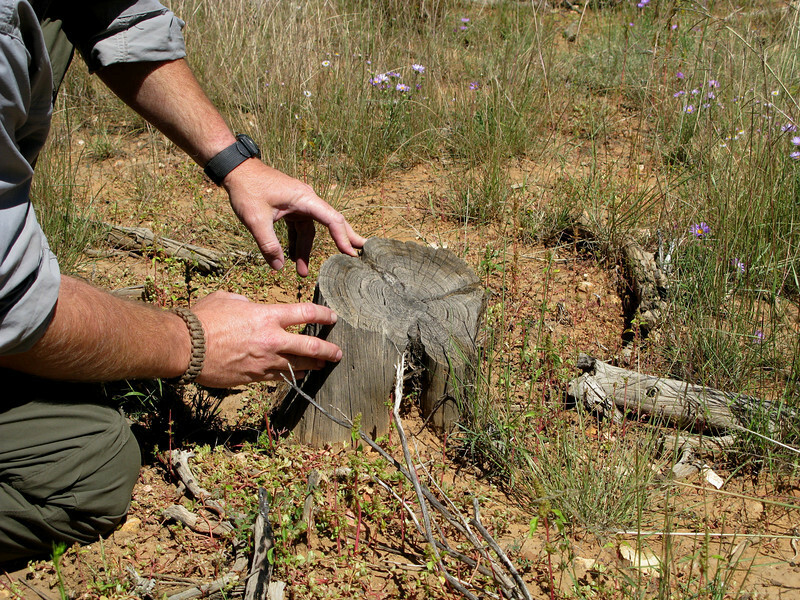 I found these wooden stakes near the aircraft cabin burn area. 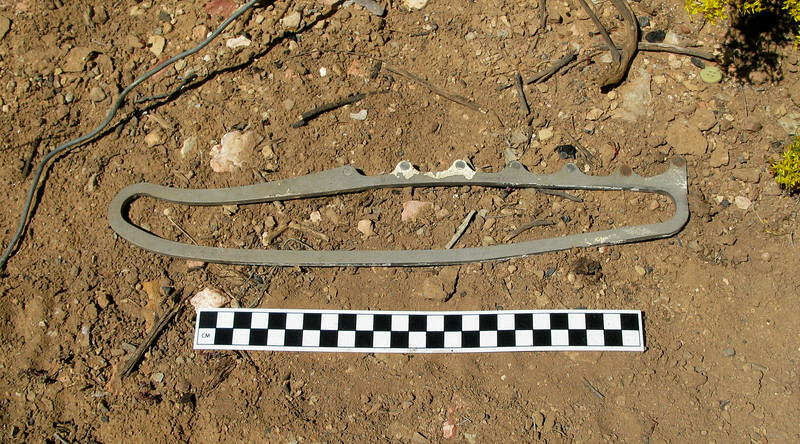 The stakes (usually numbered), were used to mark the location of victims during the accident investigation. These aneroid wafers are used in air pressure operated aircraft instruments such as pressure sensitive altimeters and vertical speed indicators. 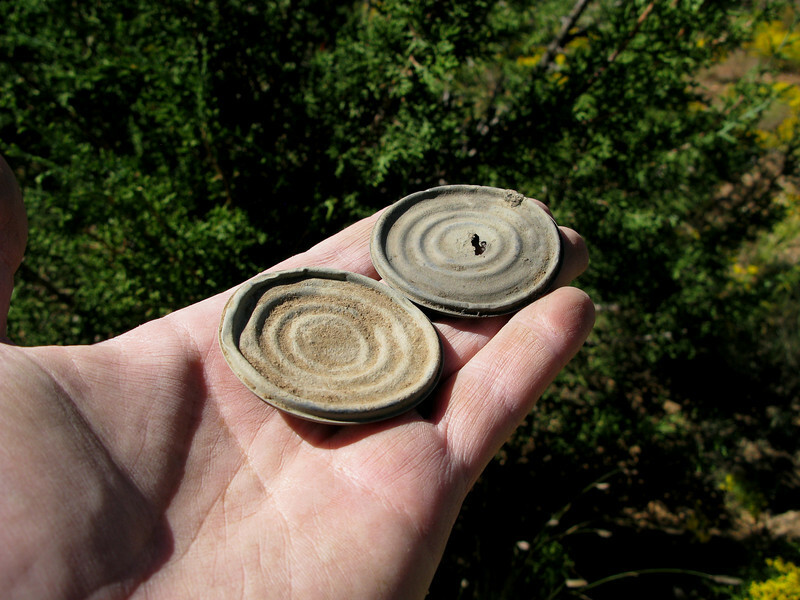 These two small fragments are part of the display from the aircraft's attitude indicator. In this case, the aircraft had two attitude indicators. 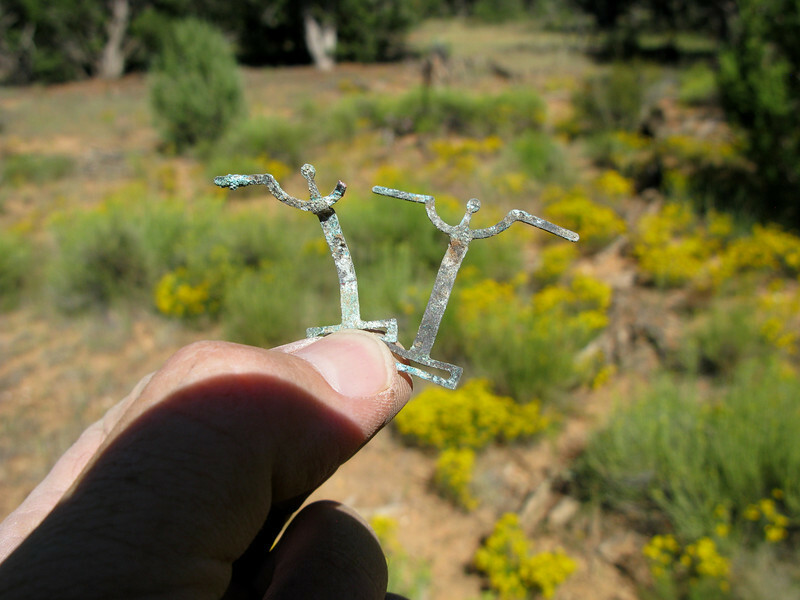 Finding one of these fragile flight instrument components is rare, but both is unbelievable. The NTSB's accident report notes that the flight instruments provided no useful information and were un-readable during the investigation. 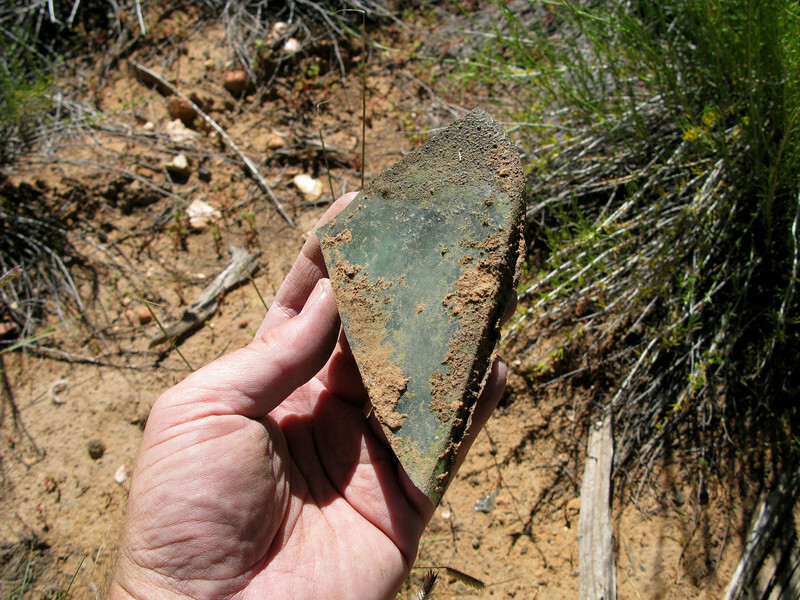 A fragment from one of the aircraft cockpit windows.